In honor of National Women’s History Month, we organized a special roundtable discussion on March 20 with some of the most dynamic female VCs and startup founders in New York City. The event, co-organized by T3 Advisors and Silicon Valley Bank, focused on the challenges female entrepreneurs encounter when raising funds and scaling their businesses. 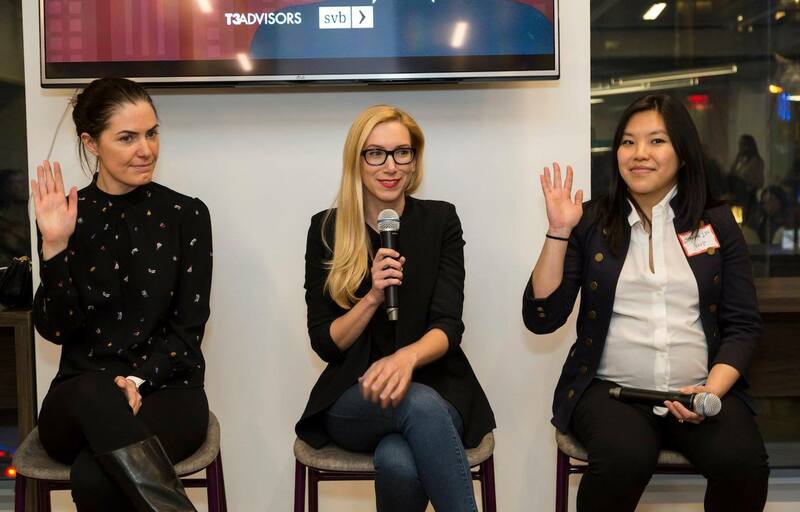 Our panelists included Meredith Finn, Vice President at Salesforce, responsible for leading strategic and impact investment, Maya Baratz, Managing Director at Comcast NBCUniversal LIFT Labs Accelerator, Powered by Techstars, and Joanne Lin, Senior Investment Associate at Newark Venture Partners. The discussion, moderated by Natalie Fratto, Vice President at Silicon Valley Bank, covered a wide range of topics, including obstacles facing female VCs and entrepreneurs on today’s market and how to get more women involved in tech and other business sectors. Speakers shared their inspiring success stories and offered insights on how they overcame challenges on their way to the top. The roundtable was held at Silicon Valley Bank’s New York office. We put together a photo gallery of the evening. Check it out here.